“You can expect to leave smiling. And horny.” Or so promise Boytoy, the U.S. foursome touring in Europe next month, to fans looking to head to their UK shows. 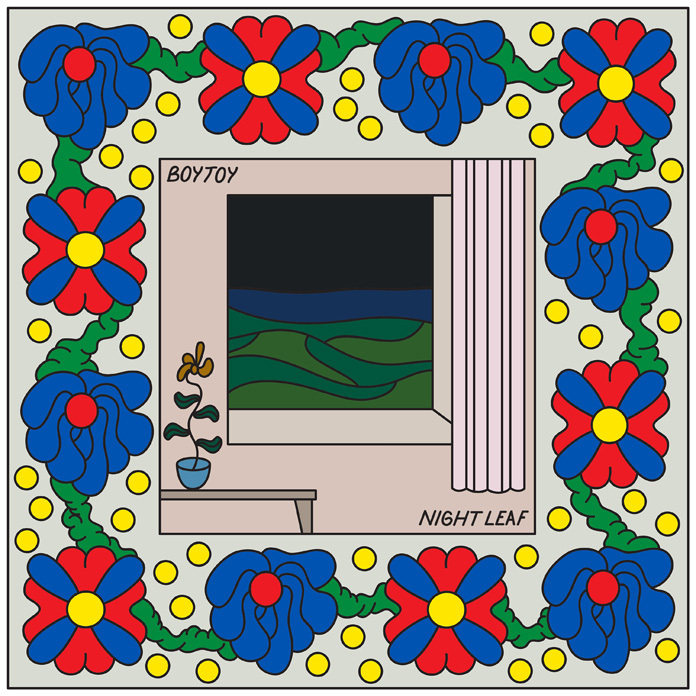 The dates follows this week’s release of Night Leaf, their bright second album. Recorded to tape in its entirety, it treads a very different path to 2015 debut Grackle, shedding the soaked feedback and aggressive garage aesthetics in favour of laidback summery vibes. 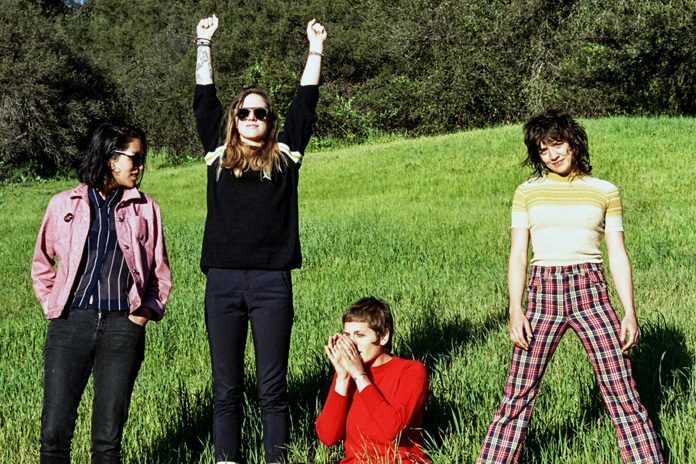 It’s an album for hot summer days, a mood no doubt born of their time spent working on it in Topanga Canyon, California. 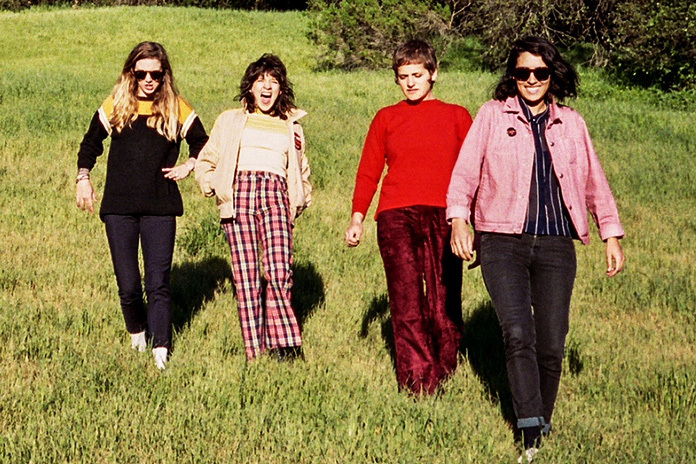 Production comes from Kyle Mullarky, while their new all-female lineup sees La Luz’ Lena Simon join them on bass. Ahead of the global release of Night Leaf this Friday, FEISTY’s Katy Blackwood spoke to Boytoy’s Saara Untracht-Oakner, Glenn Van Dyke and Chase Noelle via Skype, revealing more on the album, the tour and their unlikely love of a market town in Lancashire. Thanks for taking the time to talk to us! You’re coming to the UK next month during your European tour, I guess you’re pretty excited about that? Really, Chorley? What made you want to go there so much? It’s quite difficult sometimes for U.S. bands to play in the UK, for the obvious reasons of cost and distance. How hard was it set to this tour up? What can British fans expect from your shows? So your new album, Night Leaf, is out this Friday! How did the recording process go? I read that you worked on it at a ranch in California. 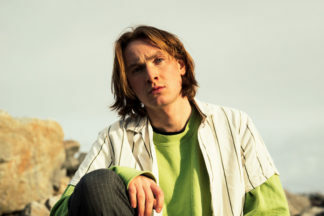 Saara: “We recorded with our friend Kyle Mullarky, who produced the record and engineered it. He has an old pump house that he converted into a small studio. Lena Simon, bassist in La Luz, worked with you on Night Leaf. As they’re also gearing up to release their own new album, was it hard to make that work? The new album is quite hazy, with a particularly summery vibe. 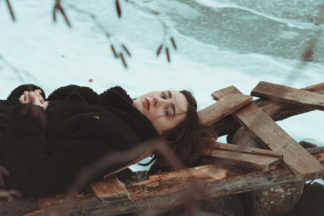 Was that a mood you intentionally set out to create? There’s also tracks that differ a little from the relaxed mood, like NY Rip Off, which is somewhat more biting. Haha, well, that’s good to know! Are there any interesting stories embedded within the album? Your debut album, Grackle, was released back in 2015. How would you say you’ve developed since then? Obviously, there’s been lineup changes. Besides from your own music, what else have you been listening to recently? Finally, is there anything else we should look out for from here? 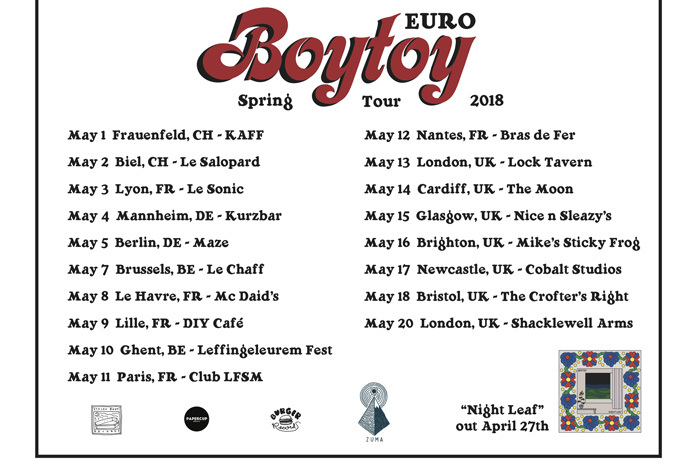 Boytoy’s second album Night Leaf is out on Friday 27 April. Their UK tour starts on 13 May in London and includes stops in Cardiff, Glasgow, Brighton, Newcastle and Bristol.